Does true love really exist? And if so, what common beliefs do individuals have to create such a beautiful, harmonic union? Today, the divorce rate is on the rise, with nearly one divorce for every marriage. Many people are getting married without a solid, inner foundation. The only ideas about marriage are based on what we’ve witnessed growing up. For many of us, it wasn’t the fairy tale scene – so we wander around looking for the love of our life instead of diving in and being it. Most people think all they need to do is follow their heart to find true love and the rest will follow. But, who you are before you fall in love is important. There are key beliefs you must have to attract true love into your life. The relationships you create are mirrors of who you are. It’s the law of attraction at work. Therefore, relationships are only as strong as the beliefs you have about yourself. When you believe you are worthy of unconditional love, you will receive it. Loving yourself fully, even with your imperfections is very important. If you don’t love yourself fully, how can you expect someone else to? When you come to love yourself unconditionally, believe in your own worthiness, and remain open to receive it from others, you will! Treat yourself the way you want someone else to treat you. Most of us are harsh on ourselves and our own abilities. Believing in ourselves and being our own best friend attracts a lover that will compliment us, not complete us. Looking for someone to fill the gaps may bring a temporary lover, but not a lasting one. You are whole, exactly as you are. When you believe in yourself and care about your own needs, your lover will as well. You will no longer stand for being treated harshly, and you will no longer attract it either. Just remember, treat yourself the way you would want your lover to treat you. Think kind thoughts; say kind, loving words; do thoughtful things. If you would get offended if a friend or lover would say it, then don’t say it to yourself! Sometimes, people can be bad at knowing what they want (or need) in a relationship. Most of the time, society says to let romance be the guide. Instead of shining the flashlight outward, staggering around blankly looking for “the one”, shine it inward. Look for the qualities you want in another in yourself. If you’ve had past relationships problems, possibly even a cycle of them, find the common denominator. Then, look within you and find the darkness that needs the light. The cycles we encounter in relationships are less about the other person and more about ourselves. They are guiding us towards a lesson we must go within and learn. For example, if you are feeling ignored or neglected in a relationship, perhaps you are abandoning yourself at some level. Go within and find out (listening to your intuition) how you can show up more for yourself, too. When you believe you can find the right partner, and exhibit the same characteristics you seek, you will be closer to true love. It’s important to believe in the value of a relationship and the potential happiness and life long fulfillment it can bring into your life, regardless of the statistics. Most of us have witnessed divorce, either within our own family or of relatives or friends. Although these relationships had nothing to do with us, they subconsciously created a validation that relationships don’t last. Perhaps even that divorce is inevitable. It’s easy to be negative and doubtful about relationships – breakups and dysfunctional marriages are everywhere. But it takes strength and a fresh perspective to believe in happily ever afters again. Of course, every relationship has it’s difficult times. That’s life. The struggles help us learn and grow. But, to believe in the ability to have a caring, supportive, loving partner that can be there for us unconditionally is important. In fact, it’s vital for us to believe and align ourselves with the truth of that reality to be able to attract it and live it. That’s the magic of life, to believe in the good and strive to create the best possible life. Inner work will always transform our outer world. Most of the work to have a life long love is done before you ever even meet that person. By applying these four major belief systems into your life, you will absolutely shift your focus and attraction the lover you desire. If you’re already in a relationship, these four beliefs can also absolutely help transform it. In fact, by implementing these beliefs you might even fall in love all over again. All in all, healthy, life long relationships are good for each individuals mental, physical and spiritual wellbeing. 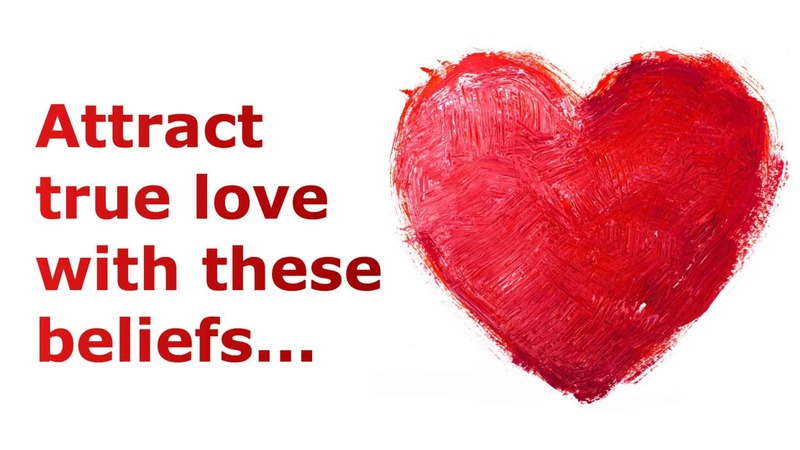 How have you used positive belief systems about yourself to help attract the love of your life?